I’ve been wondering for a while what it would take to make me start blogging again, then I realised it’s been a year today since my last post. If I don’t do it now maybe I never will. It’s been a very tough year and something had to give, but I have missed it and I think I might need it as my space to process some things. Or maybe not, but I’ll only know if I try. It feels like a positive step. I’ve been feeling hard pressed on all sides for a very long time but something has lifted this week and I hope I am emerging. Getting outside in this beautiful weather has helped. We now have two children happy and settled in school (more on this later perhaps) and I am enjoying the time with the three home educated ones all the more because I’m aware how precious it is, and how school is creeping up on us. 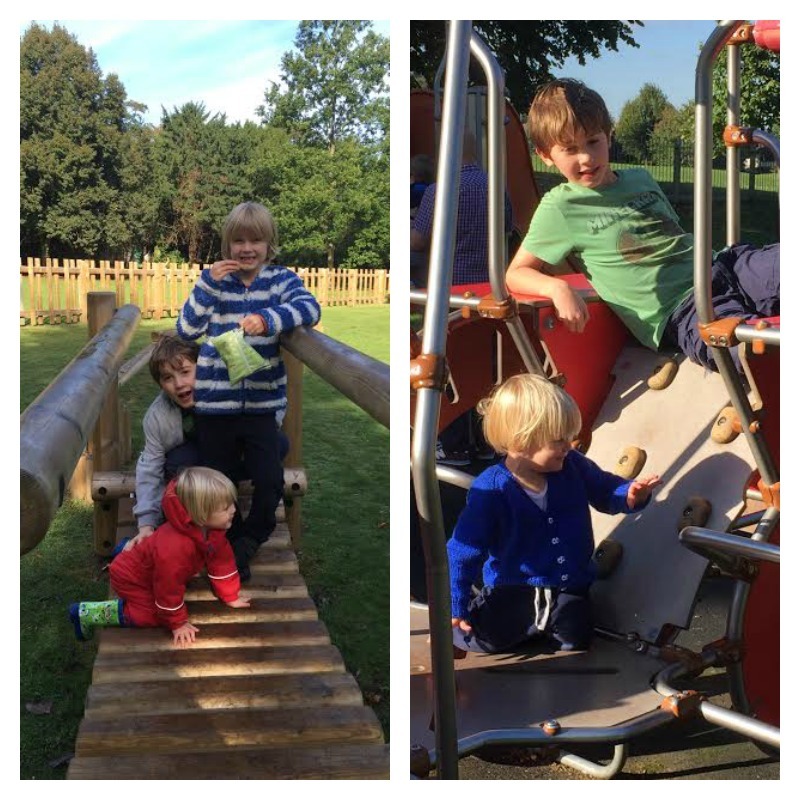 We had a lovely walk to Oaks Park on Monday morning, and a fun afternoon with friends in Carshalton Park this afternoon. I’m storing up all the happy and hoping that blogging at least some of it will help me to remember to be thankful. Jeshurun, whom I have chosen. like poplar trees by flowing streams. This entry was posted in Natural Childhood, Outings and tagged home education, nature, outdoors on October 5, 2016 by Hannah.